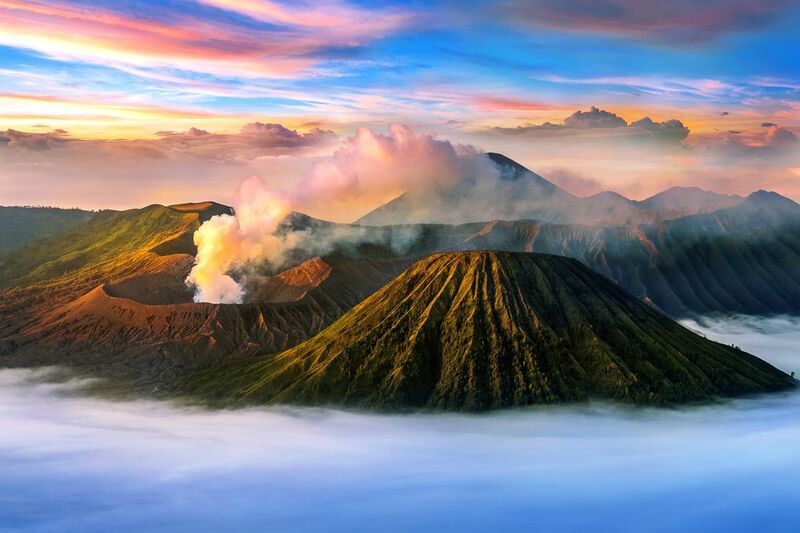 Mount Bromo is definitely the most popular mountain in Indonesia. A part of Bromo-Tengger-Semeru National Park, this mountain range encompasses four regencies in East Java; Pasuruan, Probolinggo, Malang, and Lumajang. 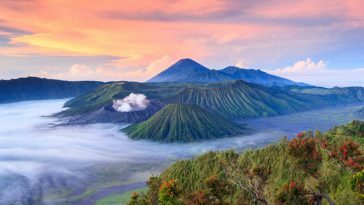 Bromo volcano is actually just one of the five peaks located on the sea of sand (Tengger Cadera) on top of the mountain, with Bromo and Batok as the most popular ones. 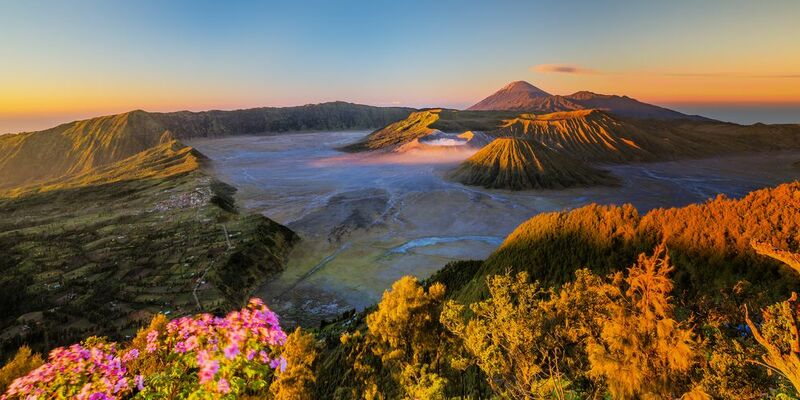 Bromo is the extremely popular for a number of reasons, including otherworldly view, breathtaking sunrise, and overall majestic mountaintop view. 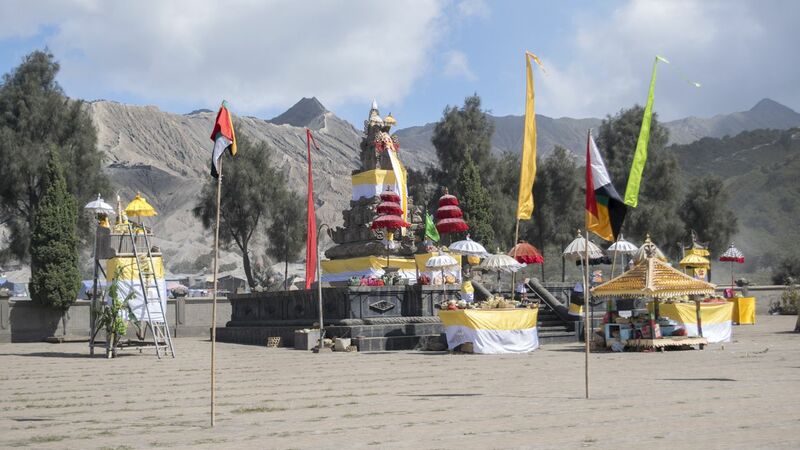 However, Bromo is also home of Tenggerese people who are decedents of Majapahit princess. 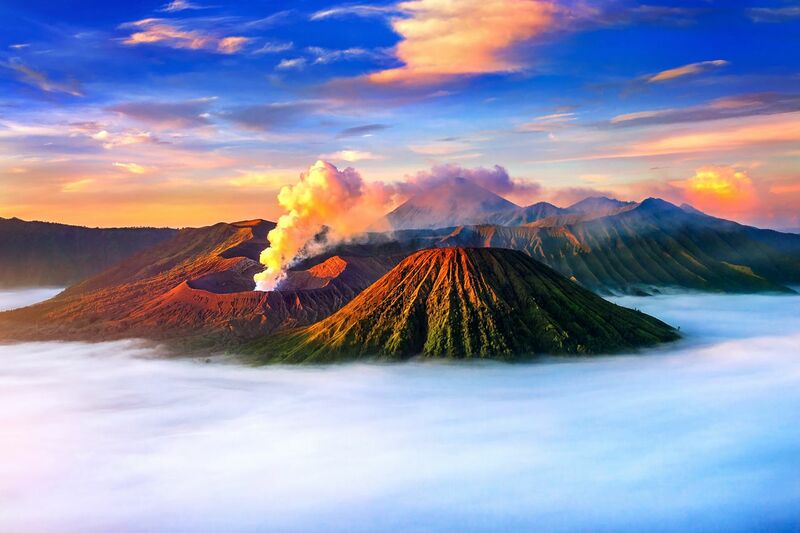 The most popular destination of this park is definitely the crater of Mount Bromo volcano. The Bromo peak is already collapsing because it’s constantly erupting every few years. This crater is constantly producing sulfurous fumes, creating a strangely captivating sight. 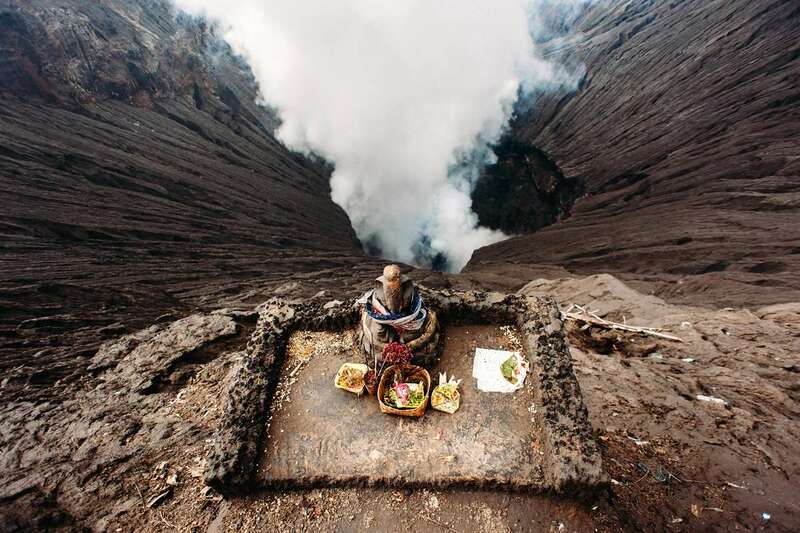 This crater is a sacred site for Tenggerese people and they often place that offerings in this crater. 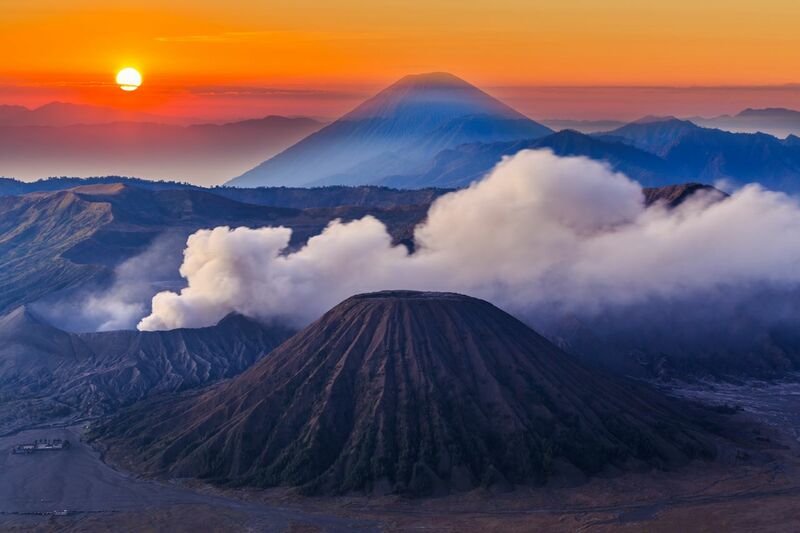 There are many places you can enjoy wonderful sunrise in Bromo. The most popular spot for this is Mount Penanjakan. Located at the western border of the Tengger Caldera, Mount Penanjakan is higher than any peak within the caldera. Mount Penanjakan is ideal toi watch the sun rises with the sea of sand and the peaks on the foreground. The bowl-shaped caldera is filled with sands and five peaks. It can be said that the base of this caldera is the sea of sands which can be quite mystical on its own way. When Bromo was not as popular, people often hear whispers when they travel through the dunes. The experience was so special many people reported the same phenomenon with somewhat spiritual description. 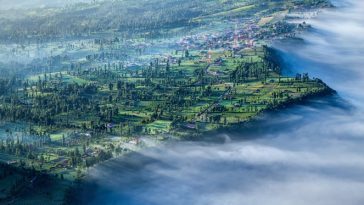 On the north of the caldera, lies a charming village of Cemoro Lawang. 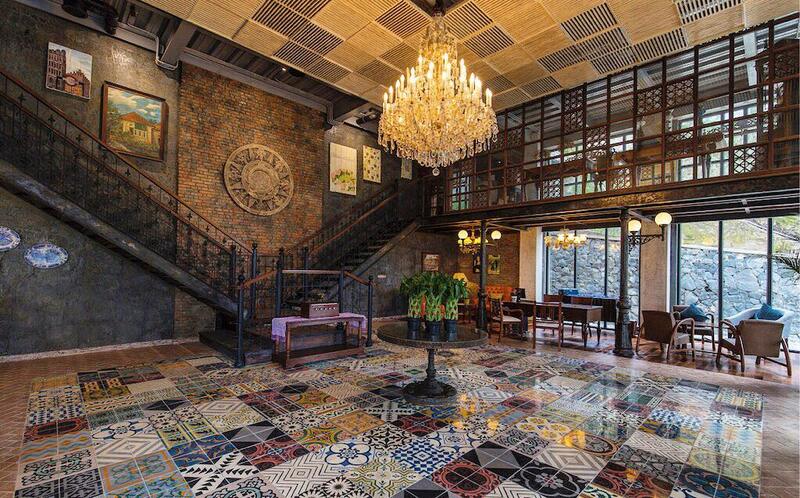 You can opt to stay in this hotel to get to the other destinations easier. 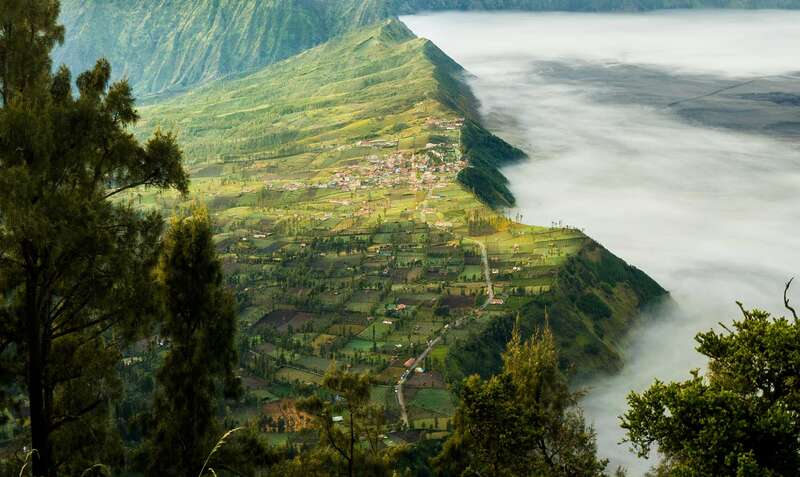 This village has extraordinary view of the caldera and is usually used as the base to explore Bromo. Fun fact; this village is administratively part of Probolinggo regency. 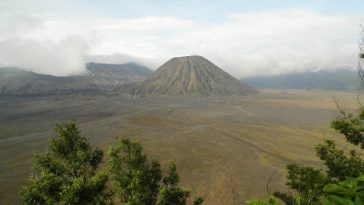 Bromo is a large place, you can’t explore the whole area on foot, especially if you want to enjoy sertain attractions. 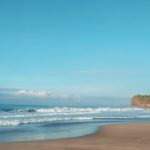 If you want to go to a sunrise watching spot, for example, you need to rent a jeep along with an experienced driver. They will get you anywhere accessible even during an early hour. You can also rent the jeep to explore and enjoy the panorama during the day. The original name of this peak is actually Bukit Songolikur (Hill 29). To make the name easier to memorize, some locals just call it B29. The main attraction of this place is its breathtaking sunrise. The hill is relatively the highest point in the horizon and you can get an unobstructed view, sometimes above the clouds. 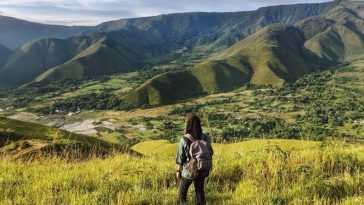 Legend says that this hill is one of the most sacred place in Bromo. 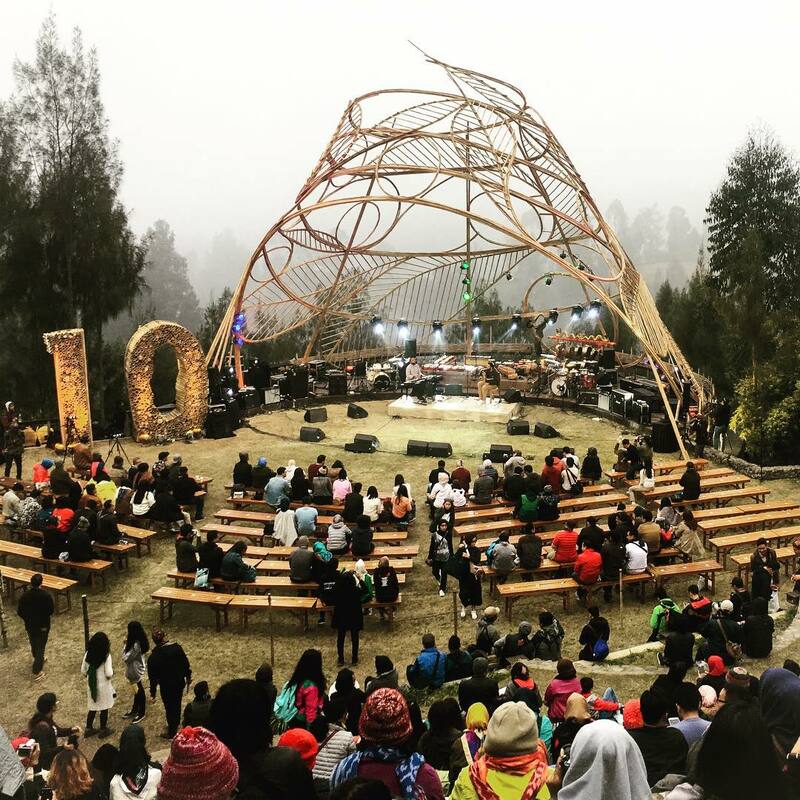 Jazz Gunung, literally means mountain jazz is a series of jazz shows in several mountains in Java. The ethnically nuanced jazz show is the pioneer of open air live music show held in a popular tourist destination. 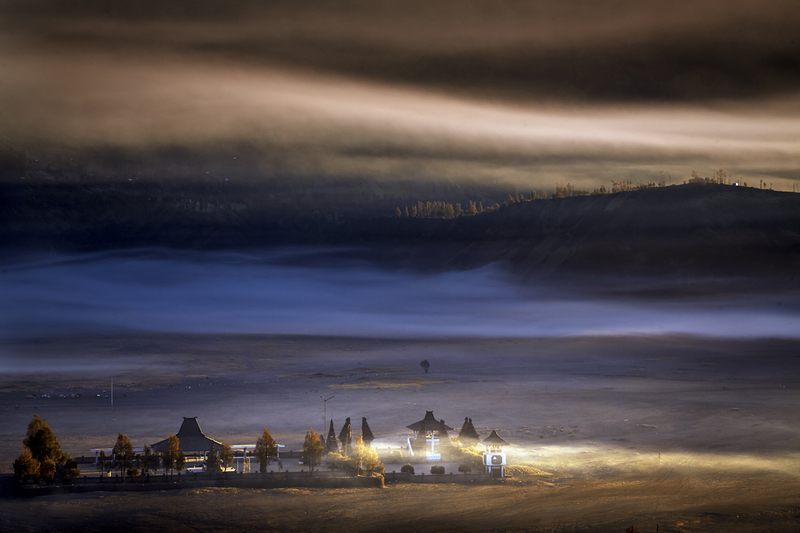 Jazz Gunung is held in Jiwa Jawa Resort in Bromo, usually in the middle of the year. Roro Anteng, a princess from Majapahit Empire, and her husband Joko Seger who settled in Bromo asked to God to give them children. Their prayer was answered; they would be given 25 children, but the last one should be sacrificed to the mountain. Roro Anteng and Joko Seger refused to sacrifice his last son, Prince Kusuma. The God got angry, Bromo erupted and swallowed the prince. 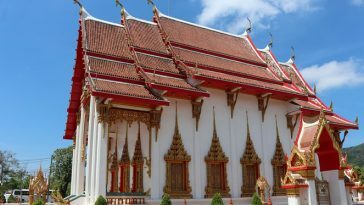 To appease the anger of their God, Kusuma’s brothers and sisters held an offering ceremony every year, known as Kasada. Today, this ceremony is held on the full moon of the 12th month of Tenggerese calendar. Sawut Kabut Bromo is a snack made mainly from cassava and coconut. Cassava is grated and then boiled till the color darken. The malleable boiled cassava and the being shaped before then being poured with liquid palm sugar and grated coconut meat. 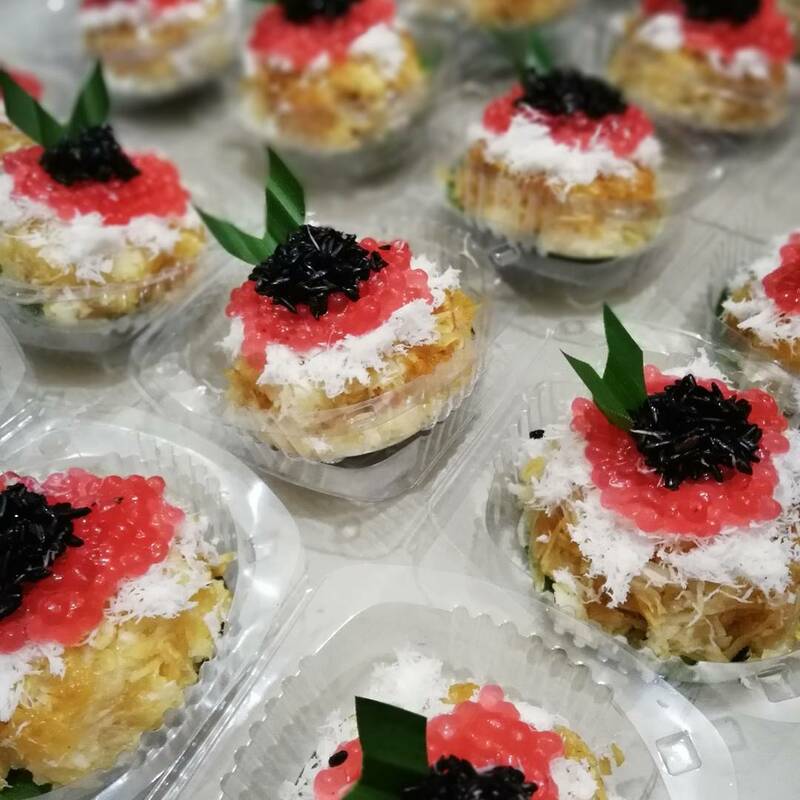 Sawut Kabut is heavily available in markets, from Tosari Market near Bromo peak to markets in downtown Probolinggo, Pasuruan, and Lumajang. 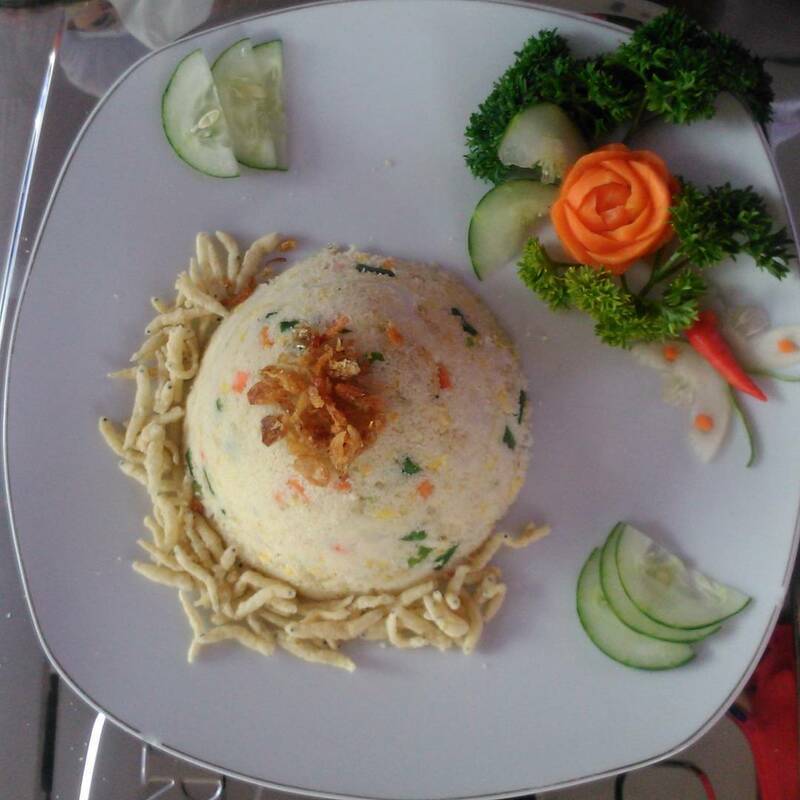 Nasi Aron is made from white corn endemic to Mount Bromo. Many people say that nasi aron is more fulfilling than rice or regular corn. The texture is a bit chewier than normal corn and it tastes better too. 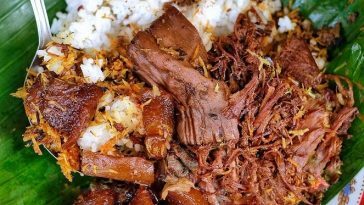 Nasi aron is usually served with ranti leaves soup plus several other side dish like fried tempe, tofu, or chicken. There are several warung located in Seruni, Ngadisari, Sukapura, Probolinggo. 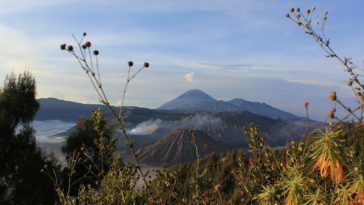 There are three routes you can take to reach Mount Bromo. 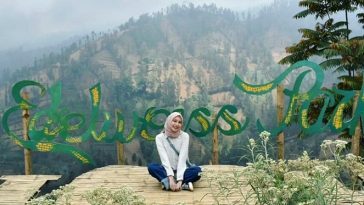 The nearest one is from Probolinggo, you only need roughly one and a half hour to reach Cemoro Lawang with a car ride. A little harder route can be found from Pasuruan. You need to ride to Tosari, Wonokitri, and then finally Bromo. The route is kinda hard but passable with 4×4 cars. The hardest route if from Malang. 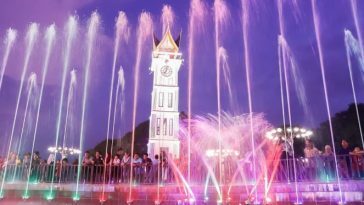 From the city, you can drive to Tumpang and the Ngadas. 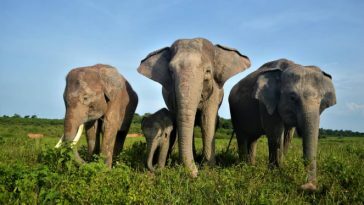 Along the way, you might find several waterfalls and small ponds. 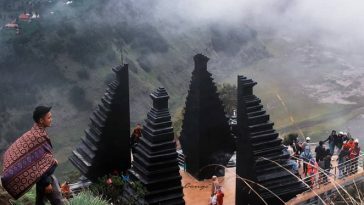 From Ngadas, you can continue driving to the caldera. However, a dirt bike ride from Malang to Bromo is very popular as the route is challenging but relatively easy to pass with good motorbike. All cities surrounding Bromo has main bus terminal that is well connected with all cities in Java. Malang and Surabaya have airports that connect those cities with many parts of the country and also neighbouring countries. 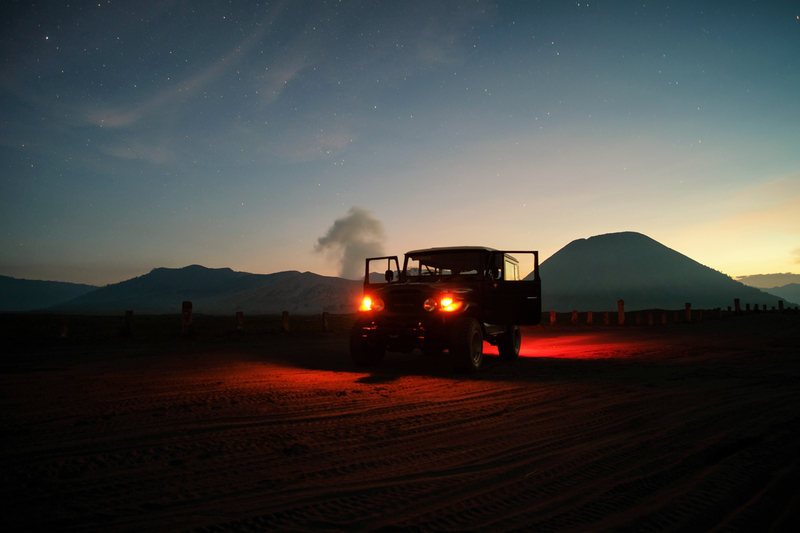 Getting around Mount Bromo is kinda tricky if you don’t plan it ahead. The safest and easiest way is by renting a jeep with experienced driver. You can also rent a horse to explore the sea of sands. If you enter Bromo on a dirt bike, you can freely roam most of the area. 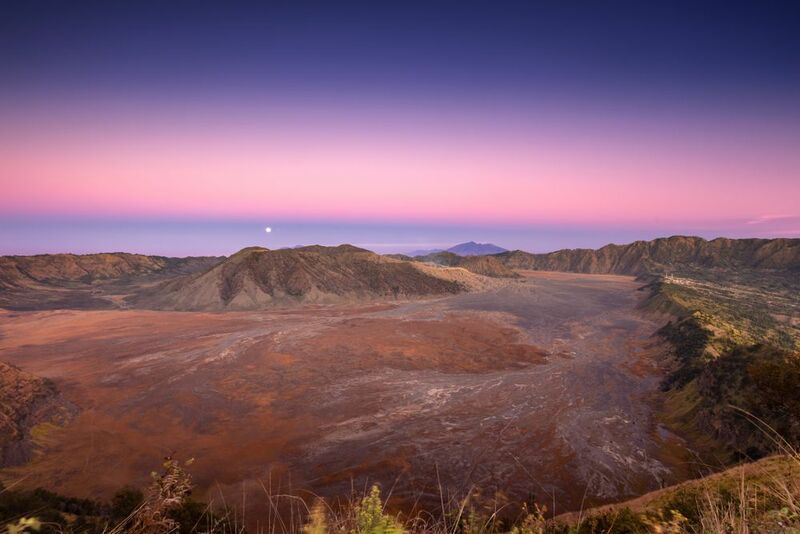 Plataran Bromo – Tosari, Wonopolo, Ngadiwono, Tosari, Pasuruan – Starts from IDR1,912,986. 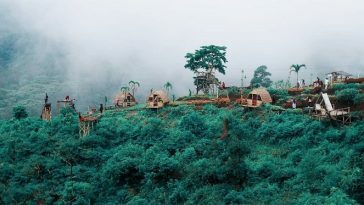 Hotel Bromo Permai 1 – Dusun Cemara Lawang, Desa Ngadisari, Kecamatan Sukapura, Probolinggo – Starts from IDR531,005. 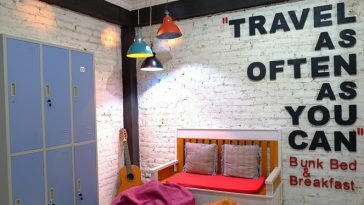 Bromo Terrace Hotel & Resto – Jl. 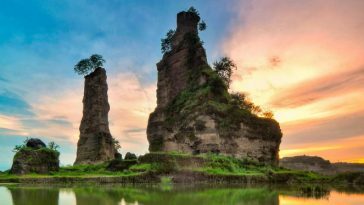 Raya Bromo, Dusun 2, Sapikerep, Sukapura, Probolinggo – Starts from IDR 1,194,763. 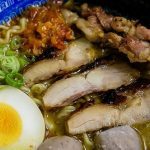 Previous article Jepang Ketemu Indonesia Jadi Indomen, Indomie Kuah Ramen! Tertarik Coba? Jepang Ketemu Indonesia Jadi Indomen, Indomie Kuah Ramen! Tertarik Coba?